Hey guys!!! Today I have the NEW Zoya Zenith Winter 2013 Collection for you! As soon as I saw some sneak peeks of these polishes, I KNEW I wanted them and would love them forever. I'm going to just jump right in to my thoughts on each color below. They are all shown with a top coat and taken in the best lighting possible. Enjoy! First up is Seraphina. 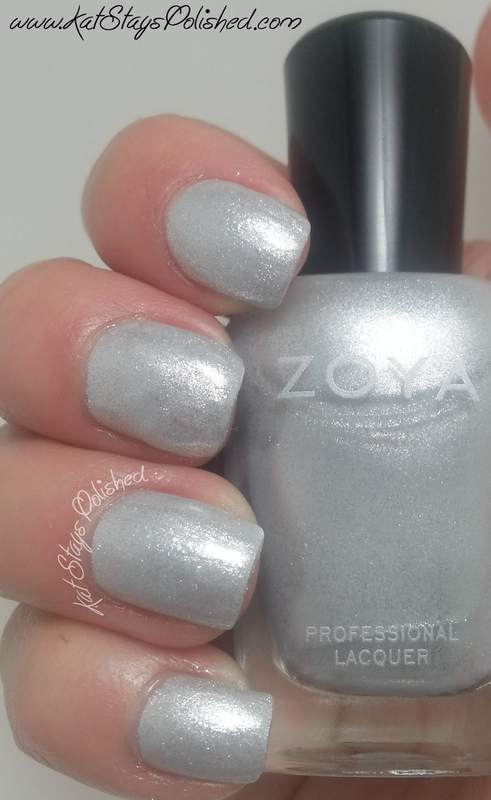 This is a gorgeous white/silver metallic that just looks like snowy frost on your windows. I am partial to loving this color...and name...because this was my confirmation name when I decided to become Catholic before I got married. It's only fitting that it's a shade of white. I applied this with three thin coat to reach full opacity. This could easily be worn sheer, but be careful of bald spots and splotches. Cassedy is described as a pewter metallic but it has some green hints to it. No matter which angle I held my nails or the bottle, I couldn't get away from the green. This isn't necessarily a bad thing, but I think Claudine from the Fall Satins collection is more of a pewter. This is 2 even coats. I personally don't think this is a 1-coater nor do I advise it. It would take a pretty thick coat of polish and I like to keep my polish neat and thin. Let me tell you a thing or two about Belinda. First....WOW. Second....WOW! 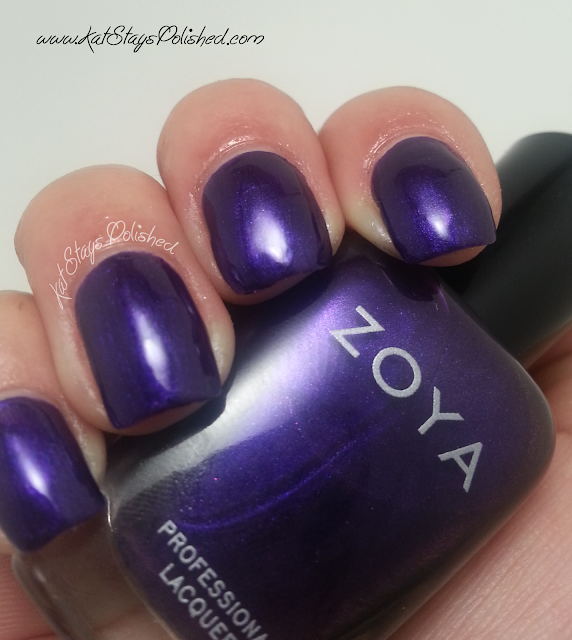 This purple is completely perfect for the Fall OR Winter. 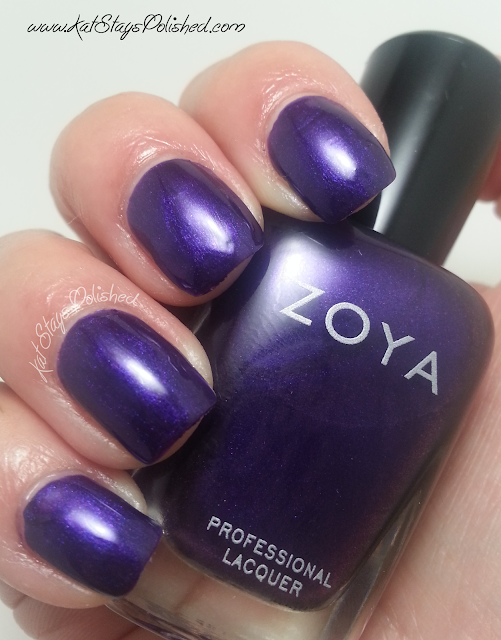 Cosmic purple metallic, says Zoya...Indeed. 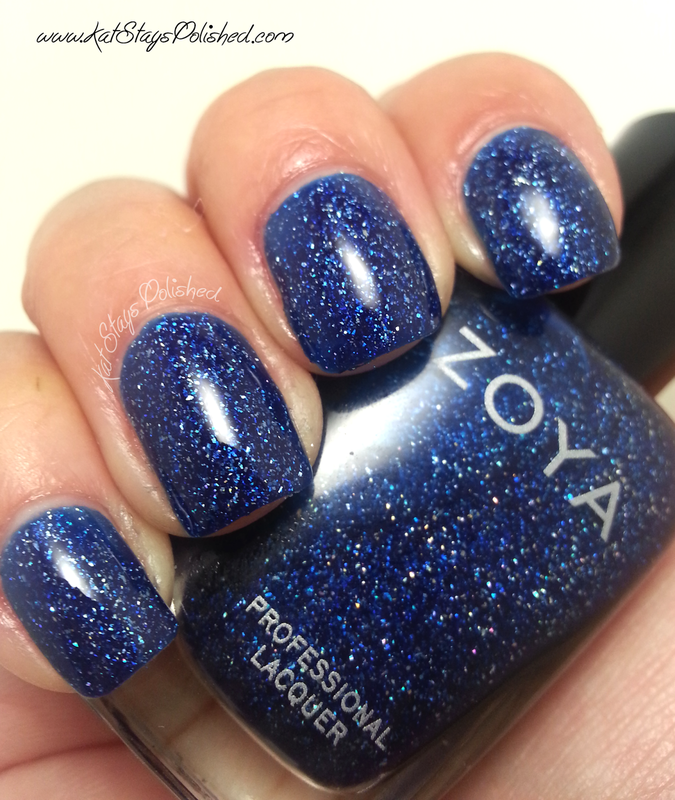 The shine that emanates from this polish is unreal. I also love the multi-dimension flecks that come off in certain light. I honestly did not want to take this one off after I applied it. Simply delightful! Oh Payton. So, EVERYONE has been going gaga over this color and now I know why! Even though it has somewhat of a jelly-like formula, you have to be careful, again, not to create bald spots of splotches. To make sure that this was at full opacity, I applied 2 coats and then a super thin 3rd coat to make sure I was good to go. This is such an amazing berry delight on your nails. It's BERRY sparkly! Even though it contains a ton of glitter, it's super easy to get off. I didn't find myself having to scrub glitters off of my nails. If you only purchase ONE from this collection, make sure it's Payton. Dream is a dream. Corny, right? But it's true! Dream is just like Payton, except for color, of course. Think of a clear winter night right before it's supposed to snow. The cold brisk air takes your breath away and you're left with this pretty baby. Last but not least, Mosheen. 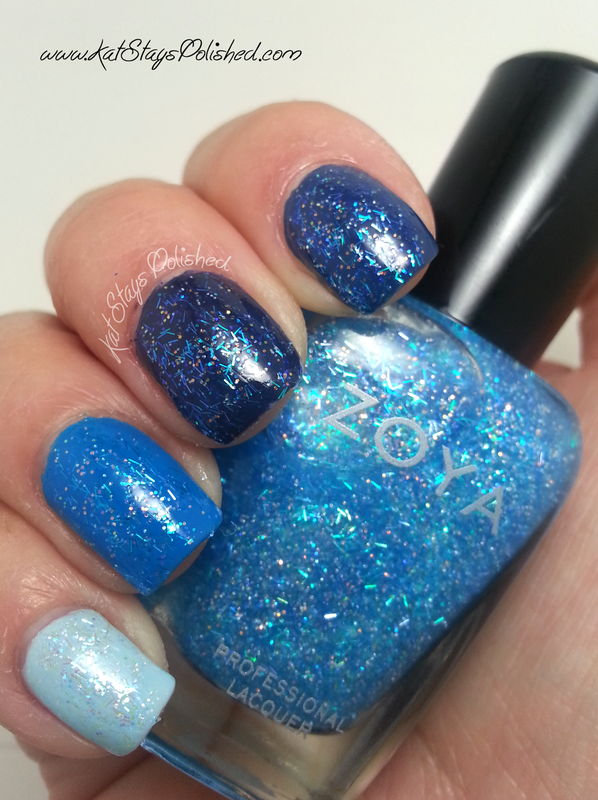 Okay, so I didn't feel like this glitter topper belonged over any of these colors in this collection. I also don't own as many blues from Zoya as I would have liked. 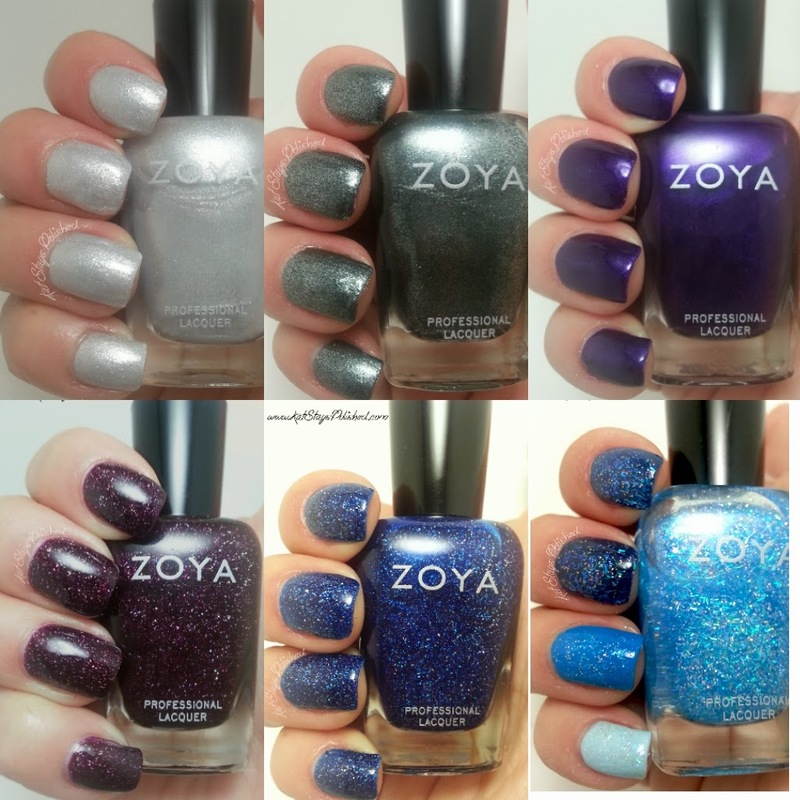 I will, however, tell you which colors I used and which Zoyas would closely match those colors. Each nail has just 1 coat of Mosheen followed by a layer of top coat. 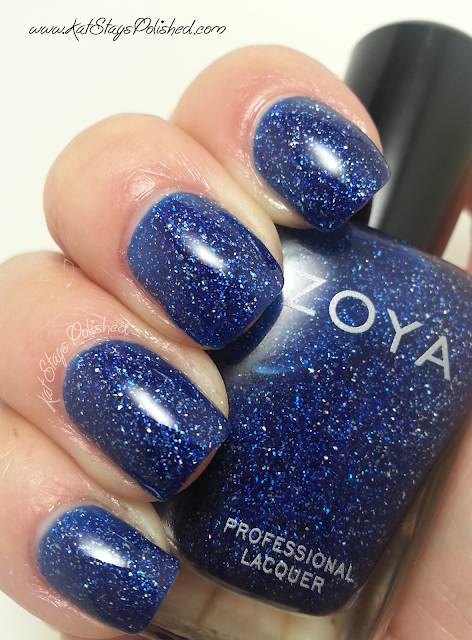 Zoya Sailor - YAY, it's a Zoya!!!!! 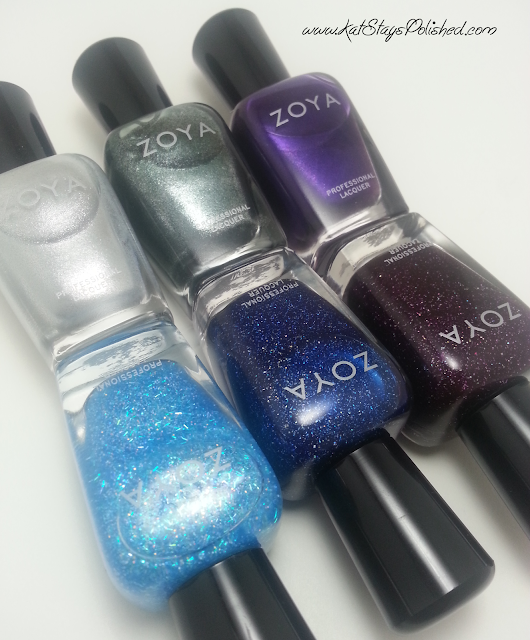 These polishes are available for purchase starting October 1, 2013 at $8 each or $48 for the Sampler. Are you going to pick some up? Visit Zoya.com to order! My favorite? Well, Seraphina, Payton, Belinda. YES! *Press Sample. 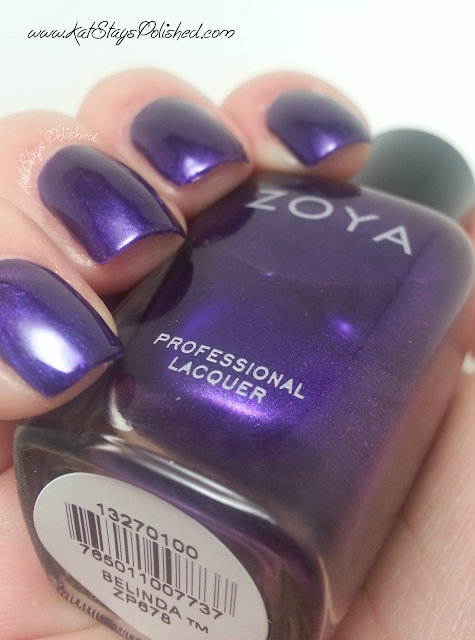 Polishes were sent for an honest review. All opinions are 100% my own. Post contains an affiliate link. 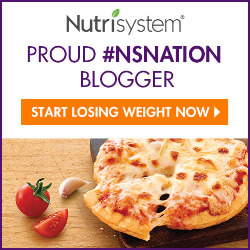 Hi, thanks for following my blog on Bloglovin, I have followed back and I am just stopping by to check out your blog. I LOVE all these colors, I don't even know which one I like best because they are all so pretty. I love the metallic colors and the deep purple.